There may not be a more polarizing player who laces up his skates night in and night out in the entire National Hockey League than Washington Capitals forward Tom Wilson. That is now poised to continue for the better part of a decade. There was virtually no doubt that Wilson would be returning to Washington on a relatively long-term contract this summer. The only questions to be answered, really, were how long and how much it would cost the Caps. 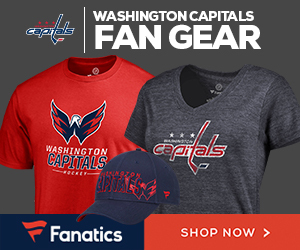 Those were answered late Friday night when it was announced by the team that Wilson had agreed to a six-year contract extension with an annual cap hit of $5.17 million. At first glance, this contract probably overshot most guesstimates by a couple years and somewhere in the neighborhood of $1-2 million. It’s safe to say that a disproportionately large percentage of hockey fans (who aren’t Capitals fans) loathe Wilson more than just about any other active NHLer. That narrative was continued shortly after Wilson put pen-to-paper on his shiny new contract, something that immediately triggered the entirety of Hockey Twitter. Wilson’s reputation does not do him any favors during instances when his name is in the headlines as it is right now. His multiple suspensions this year, including one three-gamer during the playoffs, and plethora of other borderline hits have led to his current label as a one-trick goon. Beneath the surface of the anger, there are legitimate reasons as to why rational people are pretty shocked that Wilson will be making over $3.5 million per season, much less the $5.17 million that he is actually earning. Somehow, Wilson has now suited up in red for five full seasons now. After cracking the 20-point mark just one time over his first four seasons, he nearly doubled his career-highs in his fifth year by potting 14 goals along with 21 helpers this season. He essentially rode shotgun on a line driven by superstars Alex Ovechkin and Evgeny Kuznetsov, and many smart minds are very skeptical that he could have, can or will post anything close to those numbers without the pair of dynamic Russians. Wilson is routinely at the top of the league leaderboard when it comes to penalty minutes as well. While he’s gotten better over time at drawing penalties to somewhat even out his impact as a penalty-taker himself, he has a track record of either slipping up and making a boneheaded decision or failing to get the benefit of the doubt in a situation where the average player might. Something that, again, is based off of his reputation. To many, that correlates to negative value for the team that employs him. However, with this extension, it appears that the Capitals are betting on a further untapped upside. And considering the money that he is set to be making for the long haul, it is going to be up to Wilson to continue to evolve as a scorer which means that he must keep himself on the ice instead of in the penalty box. By signing Wilson for six years, the Capitals in essence bought out four cherished, valuable unrestricted free agent years from Wilson. With the salary cap steadily rising and likely continuing to do so over the next several years, this move makes more sense for the Capitals if they truly believe that Wilson will continue to develop into an impact forward for the right reasons. Over Wilson’s first four playoff runs as a Capital, he played in 41 games while putting up just three goals and two assists. Part of this can be explained by his presence within a bottom six that received heavily defensive zone starts a large chunk of the time, but a large part of that story can be explained by him just not being an impact player in really any meaningful way. Over his next 21 playoff games, Wilson shattered his previous totals. He scored a seemingly inexplicable 15 points in 21 games as the Capitals went on the win the Stanley Cup this year. That type of performance in the thick of a postseason race historically gets players paid and it worked out big time in Wilson’s favor this summer. The vocal majority is probably right here that Wilson got at least moderately overpaid, whether their reasoning is moreso emotional than logical or vice versa. But given Wilson’s reputation as a teammate, his career year and the fact that he seems to fit the mould of the right winger that the Capitals have been dying to add to Ovechkin’s line for years, it seems that Washington is willing to bet that Wilson will make himself worth this rich extension.